ARCHOS has just released a firmware update for their Gen9 tablets. It seems to be pretty much a fixed release of the broken 4.0.24 firmware that caused hardware issues on some G9 tablets. 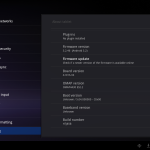 The system version actually moves from Android 4.0.3 to latest ICS version 4.0.4. The revision history is quite long, it covers main Media Center fixes, a new Remote Control feature and a more robust Wi-FI driver that should hopefully fix the latest problems. Video Scraper: faster media information retrieval process. Note that in the migration process, all your video scraper information will be lost. Next articleUpdated Archos Remote Control application now available in Google Play store. Do I lose all my App saves, like my games etc…? Thank you, did the update, and everything remains 😀 See you later! Can u post the link for the right download link on this as I cnt find anything else to download google play? 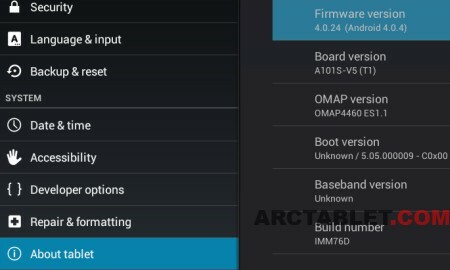 The firmware in this post isn’t made for the Arnova 9 G2. Please check the appropriate section in our forum for help with your tablet model. Still can’t get google play after downloading all links can someone help????? Which tablet are you using ?